For This Child I Prayed: Five Months! 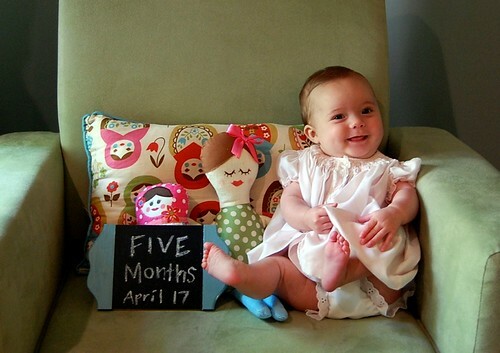 On April 17th Lael turned five months old! Here she is wearing another one of my old dresses!